One good half, Gator Nation. The Vols are starting to look like a more promising team. Their competition to date has not been fierce, but they can absolutely pitch and catch the ball with Tyler Bray at QB and Justin Hunter and Cordarrelle Patterson at WR. They are gigantic receivers compared to our secondary. Our defense has to do two things very, very well this weekend…stop the run and hit the QB. It is REALLY that simple. The team that runs the football wins this game. Tennessee has shown flashes of brilliance, but this is their first game against significant competition (I wish I could say it was top tier competition but we are far from that right now). I keep hearing from every media outlet that our defense is the strength of the team. Well, I haven’t seen it except for one half out of four so far. We have to have a complete game. The Vols have home field advantage, a strong passing attack that can rack up points quickly on us and motivation. They’ve lost seven in a row and have not even been a factor in the SEC East for quite some time. In the 90’s this was THE matchup in the SEC and now it has become an after thought. We need UT to be very good. We need them to bring a strong team to the SEC. We need them to be a competitor in the East. Then we need to go to Knoxville and lay waste and devastation on them. Our secondary will have its hands full. If they play a first half like they did last week at any point, UT will go up on us quickly. I’m not inclined to believe that the Vols have a strong defense, but I’m not so sure they have to given how anemic our offense has performed. We obviously need to run the ball and Mike Gillislee getting close to 200 yards will be a big help. Jeff Driskel will get the nod again at QB and while I’d prefer he not get sacked 8 times in a game, he didn’t throw the ball away, so I’m going to go with that for now. We can’t afford turnovers, especially since it doesn’t look like we can force many either. I will be rooting for as many 3 and outs as we can get. The fact is we get down by too many points and we do not have the offense to comeback. Even last week, we had minimal offense to win that game. Our defense needs a complete game. They are going to be up against a no-huddle offense that wants a quick strike. We will load up the secondary and rush four and those four have to get pressure on the QB. This is a turning point in our season whether we like it or not. Starting 3-0 is a good step toward progress and it will be a more significant 3-0 start than it was last year. We find out a little more about this team this week and I know you want to find something good. Florida 21 Tennessee 19. Game time is 6pm EST, 3pm PST on ESPN with Game Day in attendance for a second straight week. We’re +1 in turnovers—would at least like to see that go to +2. I’ll be up past midnight to watch the game here in Kuwait. I honestly can’t wait because while the rivalry is not back, the relevance just might be. 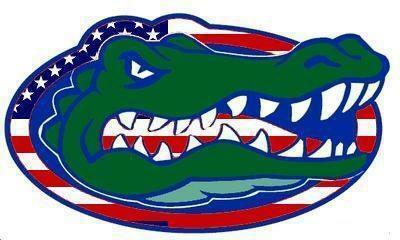 I hope you join your local Gator club where a Victory over the Vols is best served with Gators! ‘Nuff said. This entry was posted in Uncategorized on September 14, 2012 by TheGatorNarrator. This entry was posted in Uncategorized on September 11, 2012 by TheGatorNarrator. Half-good was good enough, Gator Nation. I spent last weekend in Afghanistan. So I’m in Kandahar awaiting a flight out and, lo and behold, on the monitor in a building that was fresh out of Mad Max and the movie “Road Warrior” was the Florida-Texas A&M game. The heavens opened, angels sang and a bright light descended on this fortuitous moment for TGN. While awaiting an interminable delay for my flight out, I get to watch the Gators beat up on the Aggies. Whoa there spanky…not so fast! I proceeded to sit in very agonizing discomfort as I watched the entire first half that essentially amounted to fast-break football by the Aggies. Was it bad? It was so bad that everyone else there (not necessarily Gator fans) were oohing and aahing (literally) at the Aggies ability to punch the Gators right in the face and then laugh about it. Seriously—they said “oooh” and “aahh”. We looked horrible. Not only horrible, but incompetent. The fact that it was only 17-10 at half was a veritable miracle on the leg of Caleb Sturgis and a very poor timeout call by Aggie Coach Kevin Sumlin were we even that close. I then proceeded to watch the Gators almost let the Aggies score again as halftime approached. Then the call came to board the plane. I was not in a great mood, it was midnight, I was tired and there absolutely no glimmer of hope from the Gators on offense or defense that we would mount a substantial comeback in the second half. After all, the Aggie defense was having its way with our offensive line. Our defense couldn’t seem to contain their freshman QB at all and we had a Gator player injured on the field after darn near every play. Quick note: I mentioned in last week’s analysis that Kevin Sumlin knows a thing or two about QBs that can play pitch and catch. We should have seen Johnny Manziel’s performance coming. I arrive back in Kuwait. Begin the commute back to my base without a clue as to the outcome. It is now 7am (0700 to you military types) and I arrive back at my room, let out a sign and decide to check the final score on ESPN.com. Fully expecting a score of 41-20, I was very surprised to see a 20-17 Victory by our Gators. So then I had to do further research. Texas A&M apparently couldn’t do a thing in the second half. Our defense completely shut them down and our offense did enough to get by…which is what I think we should be expecting at this point. All of us expect second half adjustments, but I don’t think any of us saw this one coming. We have the promise of something better than last year. Unfortunately, given our first half performance, it is still something of a mystery, these Gators. Jeff Driskel played solid football. He managed the team, did not turnover the ball…which would have absolutely killed any chance of Victory in this game…and provided some flexibility on offense because, let’s face it, our offensive is not that good right now (8 sacks…really!?!?) Our defense finally lived up to its billing, but it took a really big sucker punch to the face to wake them up. If we’re going to have any success this year, our defense has to show up at the beginning. So we’re 2-0 and headed to Knoxville. It looks like we’re going to have Jeff Drikell as QB for awhile. As long as he’s not turning over the ball and scrambling from the defense, that’s about as good as we can expect. Mike Gillislee (hopefully not too banged up from this weekend) will provide us a superior rushing attack. Andre Debose will not be returning kickoffs for TDs any time soon with the new kickoff rule (stupid NCAA!). Our team is still +1 in turnovers and we had a lot fewer penalties this week. It’s all headed in the right direction…but I’ll say it for everyone “we are expecting more”. Not sure if we will get that this year, but we at least know that last week was not indicative of our season. 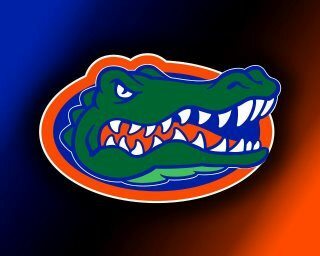 Next week is going to be a thrill, no doubt, Gator Nation! I do like the fact that Florida vs Tennessee is significant again. 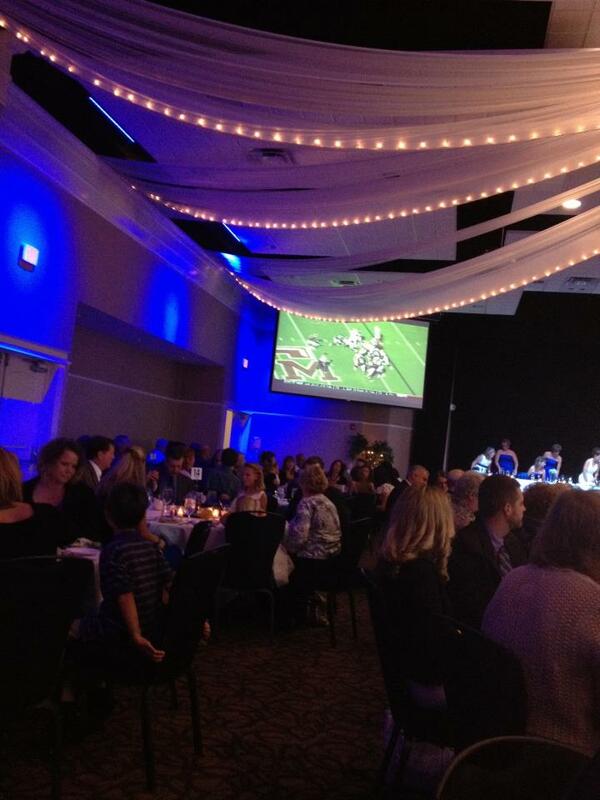 Congratulations go out to a fellow Gator who got married this weekend, but ensured that the game would not go unwatched (see photo below). Sorry, I wasn’t able to be there, Lori! ‘Nuff said. This entry was posted in Uncategorized and tagged Florida Gator, Kevin Sumlin, University of Florida on September 10, 2012 by TheGatorNarrator. A win and a drop, Gator Nation. This entry was posted in Uncategorized on September 4, 2012 by TheGatorNarrator. 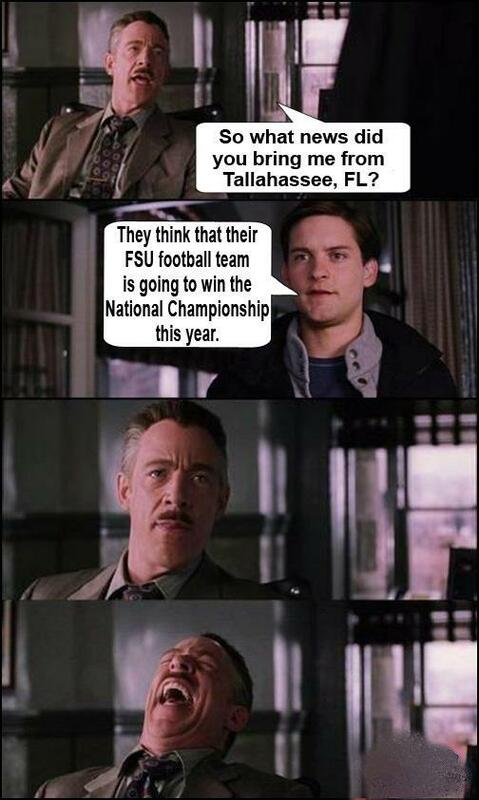 The ambivalence is overwhelming, Gator Nation! What exactly did we see this weekend? It is not as if our expectations could have been in the stratosphere to start this season. Ok—I did expect a wee bit more offense this year. I did not expect to see a whole lot less. First, let’s address starting both QBs on the first play. It makes us look especially arrogant given the underwhelming victory. Why are we continuing this debate into the season? Pick one, game plan and move on with the season. We have lost any amount of luxury of time to be making this decision. Technically, I was correct that Jacoby Brissett would start–even if it was for the first play of the game. The problem as I see it is that Jeff Driskel has the edge on starting ONLY BECAUSE OF HIS SCRAMBLING ABILITY. Our offensive line is supposed to be improved, but that is hardly the case. We couldn’t even pick up 3rd and short on six different occasions….against Bowling Green!?!? They only positive I see is that we were very one dimensional on offense which I assume was on purpose. My only hope is that we break open the play book next week against Texas A&M. The only thing working in our favor is that Texas A&M did not play this weekend and will be facing us in their very first game of the season. I want to take this opportunity to introduce our new Offensive Coordinator–Will Muschamp. Apparently, hiring Brent Pease to design a shifting motion offense for us was a clever deception for other teams to prepare for all summer long when in fact we intend to pound the ball running straight into a defense stacked up to stop the run. Ok, I get he wanted to test his players. Fine. How about at least not telegraphing for the world to see what we are going to do? Most of the Top 25 this weekend played against inferior teams and didn’t open up their offenses, but still managed to push around the other teams. I’ve said from the beginning that I did not know if Muschamp was an X’s and O’s type of coach. That still has changed. On the positive front, Mike Gillislee ran the ball 24 times and picked up 148 yards. There is promise there for us….even if it was against a second tier team. We have no passing game. Not sure if that was by design this weekend, but I know if we go another season with no downfield passing, then last year’s 7-6 record is going to look good by comparison. Jury is out on the defense. I know we had a bunch of returning players, but we weren’t especially effective on defense last year unless we played someone ineffective on offense. We didn’t blitz and we rushed the front four. No sacks, but we did get some pressure. Our tackling was spotty at time. I’m going to do a “wait and see” on this one. We are starting the season at +1 in turnovers. I still say Jacoby Brissett should be starting, but if the O-Line can’t protect then we have to go with Driskel only because he can move the pocket around. The new kickoff rule is going to seriously hamper Debose, but this is also a wait and see. Ultimately, I’m throwing this game away and starting the season fresh next week against Texas A&M. I’m going to assume that we have a solid gameplan ready to go for next week that will showcase our significant improvements. I’m also counting on Brent Pease to call the offense next week and not Muschamp. In essence, I’m expecting everything that did not happen this week. In all kinds of weather, Gator Nation. 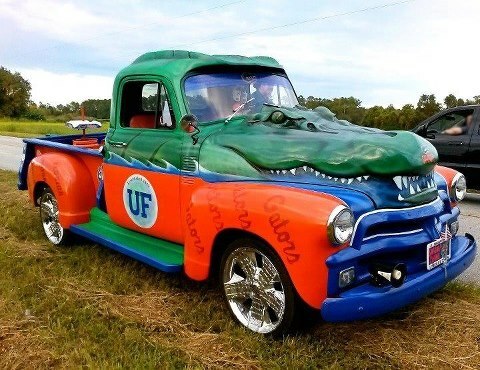 This entry was posted in Uncategorized and tagged Brent Pease, Florida, Jeff Driskel, Mike Gillislee, University of Florida, Will Muschamp on September 3, 2012 by TheGatorNarrator.